4. Video Games – If your guy likes to play video games in his spare time, get him a copy of Call of Duty or Age of Empires. It will be his refuge to unwind and dominate the competition online. 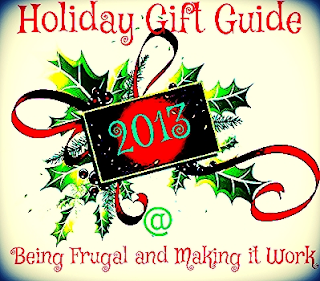 For more gift ideas for technology lovers, check out FatWallet’s Holiday Tech Guide for Men. 5. Vacation - For a gift that will knock his socks off, plan a vacation to a warm destination. Tons of travel websites offer deals and packages for the off-season. A trip gives both of you something to look forward to when the holidays end and winter hits. 6. Car Accessories – Unless your man’s ride is completely pimped out, there is always something he could use for his car. Maybe his radio needs an upgrade, or a GPS would prevent him from getting lost all the time. If you really want to impress him, invest in an awesome set of tires or speakers. 7. Cologne – If your guy wears particular cologne regularly, he is probably on the verge of running out. Find out what his signature scent is and buy a new bottle. Be sure to get cologne that he already wears, not one that you think he will like. Just because you like it does not mean he will wear it. He’ll get nice cologne, and you’ll get to enjoy his manly smell. This gift is a win-win! 8. Tools – Every man dreams of a garage full of hand tools and cordless power tools. Shop Sears, Lowe’s, and other hardware stores to find great deals on saws, drills, wrenches, and grinders. If he seems to have every tool imaginable, pick up a new set of screwdrivers or drill bits. 9. Remote-Controlled Toys – Although they seem like adults in public, we all know that men really just want to act like little boys. He will love a remote-controlled plane or helicopter to fly around the house. It will let his inner child come out and play. 10. Gift Cards – For men that are difficult to shop for, gift cards are the way to go. Buy gift cards for a few of his favorite stores, and you can put any amount you’d like on them. He will love the freedom to buy things that he really wants.